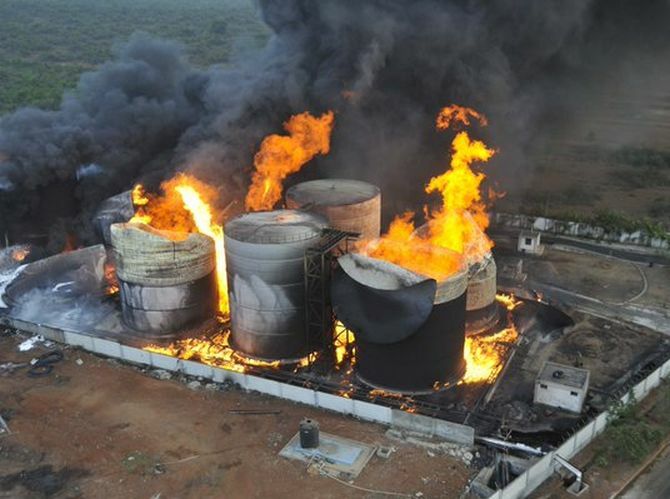 A major fire that broke out at a bio-diesel manufacturing unit in Visakhapatnam Special Economic Zone on Tuesday evening is still raging even as hectic efforts are on to control it, officials said on Wednesday. Visakhapatnam District Collector N Yuvaraj, who was at the accident site said that nearly 40 fire fighting engines from the navy, Visakhapatnam Steel Plant, and Port Trust were making all efforts to put out the fire, that erupted at the Bioxmax Fuels Ltd company premises in Duvvada area at around 7.30 pm on Tuesday. 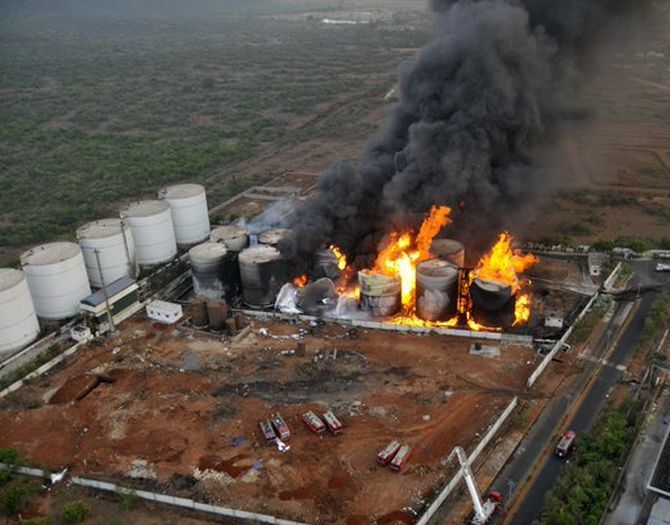 The Collector said out of 18 storage tanks located at the site, 12 caught fire. It is expected to be brought under control by Tuesday evening as the entire oil in the tanks has to burn completely, he said. “On getting news from the state administration, the Eastern Naval Command launched two aircraft for aerial reconnaissance and assessment of the extent of fire. Navy’s Quick Reaction Team and an ambulance with medical team were rushed to the site of the fire accident along with the fire tenders,” it said.